What are you reading meme. It’s Monday! What Are You Reading is a meme hosted by Sheila at Book Journey. It’s a great way to see what others are currently reading. Shift by Madison Dunn. I’m not sure why it happens, but when I focus just right, I can slow time. Things around me become lighter somehow, and I almost feel the tiny particles of energy spinning inside of them. The thing is, having the ability to transform the world around you isn’t all it’s cracked up to be — especially when you are running from the Valencia without any deodorant. The Art of Process Improvement by Abdul A Jaludi. The Art of Process Improvement is a high level strategic book aimed at leaders looking to cut expenses, improve employee morale and maximize profits. This book focuses on managing the process and creating a culture where quality, change, and innovation are encouraged and rewarded. For book review: Crime Bites and So Do I by Jodie Pierce. In this police paranormal thriller, people start turning up dead all over town completely drained of blood. Are the murders random or whom/what is the common link? Does a vampire have civil rights in a human court of law? When the lead Detective is placed under surveillance, how close will she get to the new man? How much does she even know about her own life? What twists & turns will it reveal? 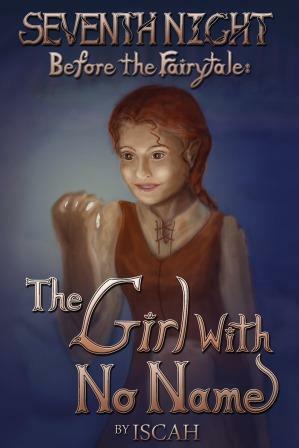 Banished from her village, a young shape shifter sets out on a journey to find her place in the world… The first of four “Before the Fairytale” stories, “The Girl With No Name” is told in a deceptively simple storybook style with the flavor of an original Grimm’s fable, but don’t expect your typical once upon a time scenario. This is a coming of age tale humorously interwoven with social commentary. Stories for Nighttime and Some for Day by Ben Loory. Loory’s collection of wry and witty, dark and perilous contemporary fables is populated by people–and monsters and trees and jocular octopi–who are motivated by the same fears and desires that isolate and unite us all. In this singular universe, televisions talk (and sometimes sing), animals live in small apartments where their nephews visit from the sea, and men and women and boys and girls fall down wells and fly through space and find love on Ferris wheels. In a voice full of fable, myth, and dream, Stories for Nighttime and Some for the Day draws us into a world of delightfully wicked recognitions, and introduces us to a writer of uncommon talent and imagination. Duplex by Kathryn Davis. Mary and Eddie are meant for each other—but love is no guarantee, not in these suburbs. Like all children, they exist in an eternal present; time is imminent, and the adults of the street live in their assorted houses like numbers on a clock. Meanwhile, ominous rumors circulate, and the increasing agitation of the neighbors points to a future in which all will be lost. Soon a sorcerer’s car will speed down Mary’s street, and as past and future fold into each other, the resonant parenthesis of her girlhood will close forever. Beyond is adulthood, a world of robots and sorcerers, slaves and masters, bodies without souls. For a book review and author interview, Order of Dimensions by Irene Helenowski: When Jane Kremowski first began her graduate studies in physics at Madison State University in Wisconsin, little did she know where her work would take her. Now, she is embroiled in a multitude of dimensions all leading to different outcomes. She and her colleagues therefore must act wisely in order to take and keep away the Order of Dimension from falling into the wrong hands for the sake of her loved ones. The Two Moons of Rehnor Book One, The Boy Who Lit Up The Sky by J. Naomi Ay. The Boy who Lit up the Sky is the first of the ten part series The Two Moons of Rehnor. It follows the life of Senya, a man created by the enemy kings of Rehnor to rule the planet and end the wars forever. However, Senya turns out to be a whole lot stranger than anyone anticipated. This epic saga is a delightful fantasy with paranormal, romance and light science fiction elements. Ditto. I appreciate the visit. Thank you for the visit and comment. I will be back at your blog again! Ditto. Thank you for the comment. I will be back to visit you soon. Thank you for stopping by to comment. Dogs and books and bunnies make life better.